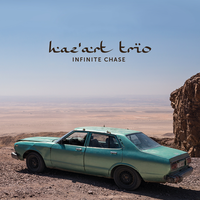 CD Release Spring 2017 "Infinite Chase"
In January 2016 Haz’art Trio recorded the album Infinite Chase in Basel (Switzerland) together with producer Vladimir Ivanoff (head of the ensemble Sarband) who released the album on his new label The Muse Alliance on March 1st, 2017. Fadhel started to play oud with his teacher Slaheddin J`aïbi. From early on he was fascinated by the number of possibilities this instrument offers. He learnt the repertoire of Malûf and arabic oriental school of music and interpreted it with oud and voice. After discovering Western music he started improving his own musical language, bringing to his instrument western music esthetic elements and build a stronger acknoweledgement about harmony, jazz improvisation and composition. At the University of Music in Tunis he wrote his final thesis on ‘The intercultural exchange between jazz and the music of the maqam’. In 2003 he began composing for international projects and thereby crossing the borders between jazz and Arabic music. Fadhel is currently giving lectures on ‘Instant Composing’ and ‘Jazz-Fusion’ at the High Institute for Music in Tunis. Jonathan Sell plays in a wide range of styles, from western classical music to progressive rock, from jazz to oriental maqam. In July 2017 he finished his master studies of jazz-double-bass with Prof. Thomas Stabenow in Mannheim with distinction. His final concert was performed with a band project that connected arabic music, indian music, Jazz and Rock . A central characteristic of his play is the interpretation of music as the universal language that overcomes cultural, national and stylistic borders. He is a member of the Orientalische Musikakademie Mannheim, where he commits himself to cultural exchange through music. 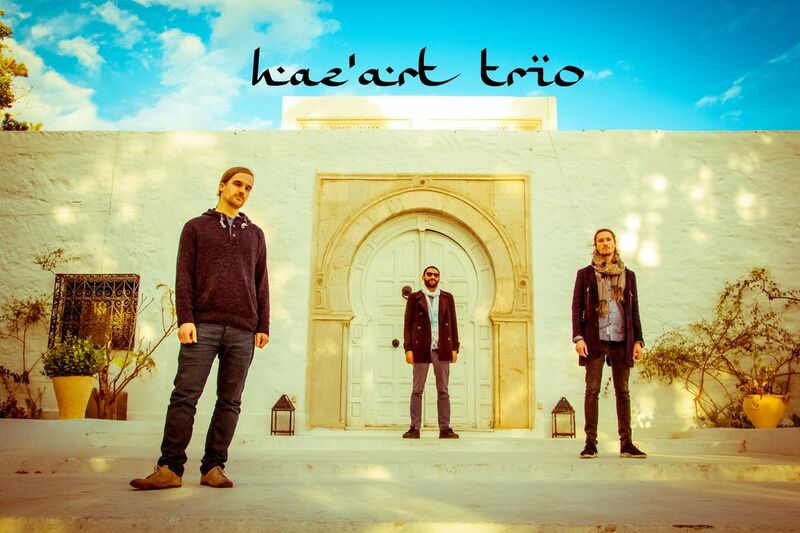 Beside the ‘Haz’art Trio’ groups like,The Swindlers' (Prog Rock & Jazz), ,NeckarGanga' (Indian Jazz), ,Tuyala' (Spoken Word & Jazz), and ,Fityan' (Oriental Jazz Rock) are his most important means of expression. Dominik Fürstberger sees himselft as a musician, who can express the feelings and moods that move him and are the best to the music by playing the drums. During his studies with Professor Michael Küttner at the university of music and performing art Mannheim, his fascination for sound in general evolved strongly. This is being reflected in his work in the recording studio with its nearly unlimited possibilities he tries to bring into live-music. For example, in his projekts 'Lektron' and 'Synthropia' as well as in the theater production 'The Sirens of Titan' at the Staatstheater Mainz he expands the acoustic drumset with the possibilites of electronic sound production. So he merges the processes of composition, arrangement, interpretation and production which are frequently separated. - Music connecting people - musicians among themselves, artists and their audience. - Music, which, in the age of globalization, respects cultural diversity,and is made with intercultural competence. - Music, which is building bridges - between cultures,religions and the human beings which belong to them. I met these musicians through meanwhile 30 years ofmusicmaking with my Ensemble Sarband, and many of them have become good friends. We help each other creating our music and making it known in the world. Here, you'll get to know more and more collaborative creations, alongside with the music of Sarband, documenting our long-running cooperation in the spirit of intercultural competence and friendship. With Your awareness and interest, you can help us to achieve our goals. "